LiveDeal Inc. (LIVE), a publicly traded company that operates http://www.livedeal.com, a geo-location based mobile marketing platform that enables restaurants to publish “real-time” and “instant offers” to nearby consumers, announced today its financial results for the three- month period that ended on March 31, 2014. Revenues increased by 22% year over year. Current cash position is $9,569,594 as of March 31, 2014, compared to $1,297,275 for the comparable quarter in 2013. Net Loss decreased by approximately 70%, year over year. Stockholders’ Equity increased by 275%, to $12,155,736 for the 2ndQ 2014 compared to $3,237,245 for the comparable quarter in 2013. “We feel confident that sustained double-digit revenue growth will continue throughout 2014 with the addition of our Goods division,” concluded Mr. Isaac. For more information, refer to the Company's Quarterly Report on Form 10-Q that was filed with the Securities and Exchange Commission and is available at http://www.sec.gov. 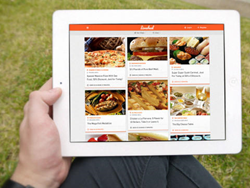 Restaurants can sign up to use the LiveDeal platform at the Company's website (http://www.livedeal.com). LiveDeal Inc. provides marketing solutions that boost customer awareness and merchant visibility on the Internet. LiveDeal operates a deal engine, which is a service that connects merchants and consumers via an innovative platform that uses geo-location, enabling businesses to communicate real-time and instant offers to nearby consumers. In November 2012, LiveDeal commenced the sale of marketing tools that help local businesses manage their online presence under the Company's Velocity Local™ brand. LiveDeal continues to actively develop, revise, and evaluate these products and services and its marketing strategies and procedures. For more information, visit http://www.livedeal.com.